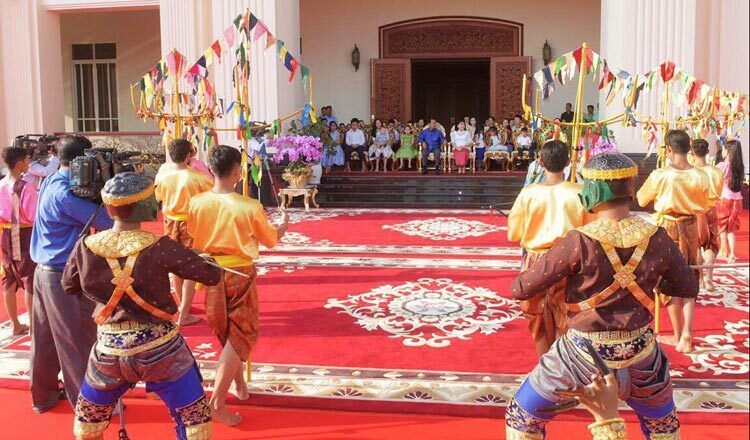 Trod traditional dancing at prime minister Hun Sen in Saturday morning, April 13, to welcome Khmer New Year. Khem Sovannara. While Cambodian people over the country and also who are living abroad are preparing to welcome upcoming New Year, the year of the pig, the ambassadors in Cambodia also join and wish to all Cambodian for this big celebration. U.S, Embassy Phnom Penh posted the wishing message in its Facebook page with saying that, “On New Year’s Day, please have glory of happiness to all families from the US Embassy in Phnom Penh”. The Ambassade de France au Cambodge also posted the video to welcome and wish to Cambodian people over the kingdom during Khmer New Year. “The Ambassador of France to Cambodia, Ms. Eva NGUYEN BINH, and the Embassy team wish all Cambodians an excellent new Khmer year! Happy New Year.” they said. The Japanese ambassador to Cambodia Hidehisa Horinouchi posted a 60 second video to wish Cambodian people for Khmer New Year as well. “Khmer New Year is coming soon, did you join Sankranta or Bon Phum New Year celebration in any place? Today, I joined Khmer New Year celebration at CJCC. I received a blessing from monks and enjoy watching performance Trod dance as well as Khmer traditional games.” said Mr Hidehisa. He said that he was particularly interested in Trod dance since it can be seen only during Khmer New Year and it is believed to get rid of bad luck. “On this occasion, I wish you good health, happiness and prosperity for the coming New Year.” Mr Hidehisa added. This year, Khmer New Year falls on the 14th at about 3.12pm. It will mark the end of the Buddhist year of 2562 and the start of 2563, the year of the pig. The holiday period is from the 14 to 16. Meanwhile, Prime Minister Hun Sen appealed again to all Cambodian people to use public transport that the government provided 120 buses for transporting them from capital to other provinces and come back. “The Khmer New Year is nearly arriving, in order not to spend much money on transportation, please, everyone use free bus services from April 12-18.” Mr Hun Sen said in his Facebook on Friday, April 12. He said that all drivers must high be careful, respect to the traffic law, do not overtake and do not drive while drunk for the safety of other passengers. 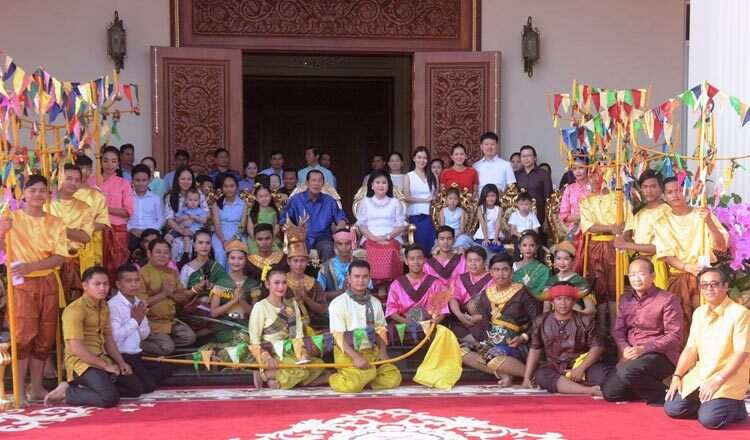 “I wish all the compatriots a safe journey along the way to their hometowns to reunite with the families on Khmer New Year occasion.” said the Premier. Earlier this week, Mr Hun Sen told the local authorities need to pay attention to road safety and ensure that both local and international tourists enjoy their time without concern. “I urge all authorities to make road safe for traffic and make sure that travelers and foreign tourists find it convenient to pass through border gates and air borders,” he says. On Thursday, April 11, General Neth Savoeun, chief of the National Police, also told traffic police officers to enforce the law during Khmer New Year. “Police must be assigned schedules to ensure 24 hour safety,” he added.